Years ago, friends and relatives (more of them than I care to admit) enthusiastically compared me to television’s Adrian Monk. That was how I stumbled onto the show after it had begun. I caught an episode mid-season and saw how right they were. 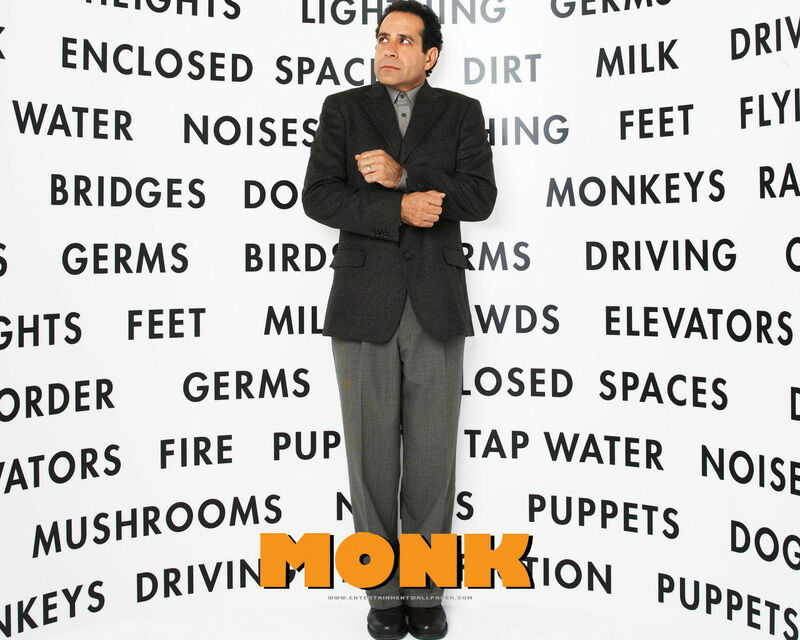 This is not to say that I share every one of Monk’s phobias (I actually have no problem at all with glaciers or ladybugs), but I can’t deny that I’ve spent a lot of time squirming with awkwardness in situations that more normal people would take in stride. When I started grad school I really tried to distance myself from my blatantly anxiety-prone behavior. I stopped opening doors with my shirt sleeves, I abandoned a small handful of nervous tics, and I made an attempt (ultimately, a failed one) to disguise just how much I dislike talking on the phone. I learned, though, that while you can hide almost anything at a distance, it is difficult in the extreme to fool the people closest to you. (This dawned on me during a trip to a crowded hardware store with my fiance, when he asked me – quite nicely – if I really had to grip his hand like I was trying to break it.) Though I had intended to redefine myself when I started a new chapter in my life, I really only camouflaged the traits that embarrassed me most. And the camouflage turned out to be temporary. While family and longtime friends applauded the changes they saw, new acquaintances were not fooled. And the more time that went by, the harder it was to even try to pass myself off as someone who wasn’t freaked out by children, loud noises, and potlucks. It finally occurred to me that my biggest problem with all my problems is how much I worry about appearing hostile or rude. I hate thinking that others might misconstrue one of my phobias as something I’m doing deliberately to offend them. So I’m taking a leap of faith. I’m a writer, I’ve got a blog, and thanks to Adrian Monk I’m willing to hope that maybe people will find my candor endearing if I offer the occasional post on times when phobia gets the better of manners. You can find these categorized as “Embrace the Awkwardness” – not that I ever really get my arms around it, though.